As the first U.S. government shutdown in more than 17 years takes hold, some programs benefiting people with disabilities will continue with business as usual while others grind to a halt. The shutdown, which began Tuesday, comes after Congress failed to reach a deal to fund the federal government for the new fiscal year starting in October. Under a shutdown, some services considered “essential” will continue operating while many other government activities will come to a standstill as 800,000 federal workers are sent home until a new budget takes effect. SOCIAL SECURITY Benefit payments will continue to be distributed on schedule to individuals receiving Social Security and Supplemental Security Income. Local offices will be open, but only to perform select services. MEDICAID Services provided by Medicaid will largely proceed as usual since an advance appropriation ensured that states receive funding for the program on Oct. 1. However, disability advocates say they are worried that the shutdown could exacerbate payment delays that providers of long-term services and supports are already facing. “The long delays have put many of our affiliates in almost untenable cash flow positions and further delays may cause some to cease Medicaid services,” said Katy Neas, senior vice president of government relations at Easter Seals. HOUSING The U.S. Department of Housing and Urban Development says it will not be able to provide further funding to local housing agencies during the shutdown. However, most local agencies already have enough money to fund rental assistance vouchers for the month of October, more than half of which help the elderly and people with disabilities. SPECIAL EDUCATION Schools won’t see much impact immediately, with states receiving $22 billion in special education funds on schedule this month from the federal government, the U.S. Department of Education said. 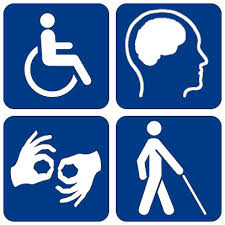 DISABILITY RIGHTS ENFORCEMENT The U.S. Department of Justice says that civil litigation, which includes the enforcement of disability rights laws like the Americans with Disabilities Act, will be “curtailed or postponed” to the extent possible. RESEARCH Developmental disability surveillance programs — which track the prevalence of such conditions — will come to a halt during the shutdown, said Barbara Reynolds of the U.S. Centers for Disease Control and Prevention. Meanwhile, the National Institutes of Health will not make any new grant awards for research. Copyright © 2013 Disability Scoop, LLC. All Rights Reserved. The most effective means to providing an individual the opportunity to achieve a full life is to maximize both public and private resources. Service providers continue to struggle with limited budget constraints and high staff turnover. Families tired of receiving minimal supports and services often combine their resources to supplement those needed. Although every individual has their own personality and needs, many dreams have been realized by creatively pooling resources between many families. The best way to identify and obtain services is to go directly to the gateway to those services while gathering information from other families or advocacy agencies involved in that specific service area. Here are a few pointers when trying to advocate for services for your family member. When you apply for the service, the gatekeeper staff - the people who control access to the benefits you seek- should give you an overview of the entire process. If he or she does not, be sure to ask. You still may not get all of your questions answered. The process may look intimidating. This is why it is so important to connect with a parent or advocacy group for support. Try to get objective input, even if you have to pay for the information. Even if the group you contact does not provide specific services, the members and/or staff can advise you of the options in your region. Other parents can share what they have done to obtain services. Learning about advocacy activities can ultimately advance service availability. We can help you maneuver the maze of government benefits. Parents and Trustees need to protect themselves from potentially disqualifying a beneficiary from their much needed government benefits. Download our checklist of questions to ask when applying for support services below.